In its September bulletin, the Croatian central bank (HNB) has revised downward its forecast about the real gross domestic product from its predictions in January for a 0.2% contraction of the Croatian economy. The bank does not offer a number how much does it expect the economic downturn to be but it believes that the main reason for this is the decline of domestic consumption. This means more problems with the budget deficit and the speedily growing public debt. 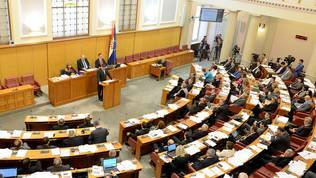 But in spite of these bad news, the new political season in Croatia has started sluggishly. At its first session after the summer break, the centre-left coalition government of Zoran Milanovic has adopted a report on the implementation of the measures undertaken to reduce the excessive deficit, among which transferring money from the second to the first pension pillar, introducing a tax on fortune games, increasing health care contributions from 13% to 15%, increasing the excise of oil and gas, etc. According to the Council decision on Croatia's excessive budget deficit, Zagreb is expected to fill the budget hole up to 4.6% of GDP this year. It all seems, however, this this target will be missed. Prime Minister Milanovic's messages (Social Democratic Party) are quite contradicting at points. On the one hand, he is a true austerian - he says that the state should not spend more than it earns, that debts need to be paid and that the Croatian citizens need to be aware of the current state of things. But on the other hand, he says that the consolidation of public finances should not be done on the back of mass lay-offs. Another way has to be found. But what should it be? In the beginning of September, the cabinet announced new measures aimed at increasing domestic consumption. A tax of 12% is to be introduced on interest rates for deposits. Separately, the ceilings for income taxation will be again moved upward. The minimum threshold that is not subject to taxation is to be increased from 2200 kunas (290 euros) to 2600 kunas (342) euros. The highest taxation rate of 40% is moved upward from the current net salary of 8800 kunas (1157 euros) to 13 200 kunas (1700 euros). According to Milanovic, Croatia should strive to level up the income taxes with the countries around it which have the lowest income taxes: Montenegro (9%), Serbia (10%), Macedonia (10%), Bulgaria (10%), the Czech Republic and Lithuania (15%), Romania (16%). 40% and more can afford only rich countries, he said when presenting the measures on September 4th. The Croatian premier is confident that the new measures will increase in real terms the incomes of almost a million people which, for its part, will boost consumption and therefore the economy is going to start moving up. Zoran Milanovic admitted that it was a mistake to increase the taxes on the middle class in the beginning of his term and that public spending is huge, which means there is a risk the budget revenues to be less. There will be another new measure this autumn and it is a ban on new appointments of civil servants. If one retires, no one will take their place, Milanovic explained. 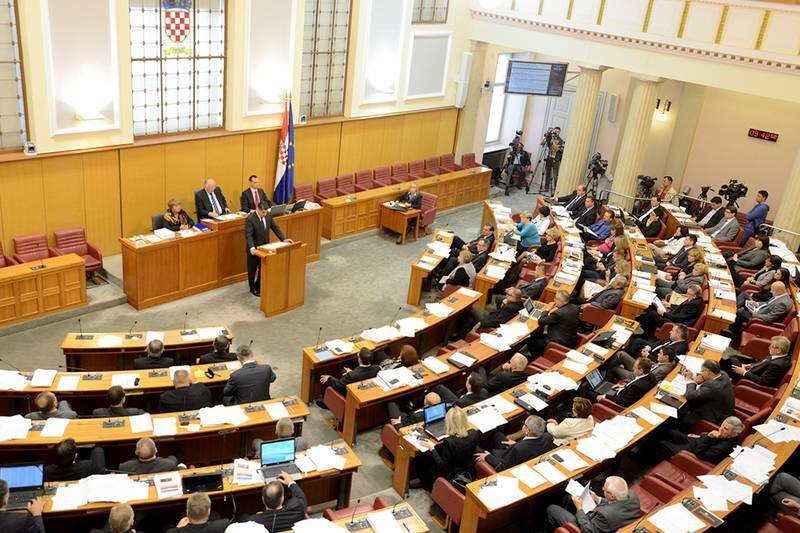 In his speech [in Croatian] in the Sabor (parliament) on what his government has accomplished so far and the plans for the future, the premier explicitly pointed out that he would not work for the applause of the global credit rating agencies, the European Commission or the international financial institutions while in the same time the citizens are getting poorer and are losing rights. The European excessive deficit procedure is a transparent and controlled process of creating stable and sustainable public finances, but cutting spending and lay-offs will not lead to consolidation if there is no economic growth. Moreover, he told the Croatian MPs, the budget deficit is not the main reason for the European crisis but the current account deficit. Zoran Milanovic's analysis shows that the countries that have the hardest problems, with no exception, are not those that had the biggest budget deficits, but those who had big current account deficits. Those are Spain, Italy, Greece. Bulgaria is a model to follow for Zoran Milanovic in terms of public finances and the current account. The diagnosis is pretty clear - Croatia has lost the dynamics of its growth from the past and that is irreversible. Stagnation is already structural. We can no longer grow the way we did before. There are no longer motorways, no tunnels to build, no 20 million euros per kilometre of new motorways. We have come to the end of this model of development and we need a new one, Mr Milanovic said during one of his frequent media appearances since the beginning of the season. Croatia is not a poor country but one with high middle income and that has been for decades. However, the Croatian economic model is since 1993, which means since the war. Centralisation is excessive. It is unacceptable the Croatian government to have to negotiate with trade unions over wages. It is not acceptable the government to have to manage 90% of the public money, he added. But he refused to answer categorically and clearly the question whether an administrative reform is in the queue. It has been prepared by experts but is still not on the government's agenda for implementation. His speech in Parliament, instead of drawing his visions and being specific was directionless and vague. 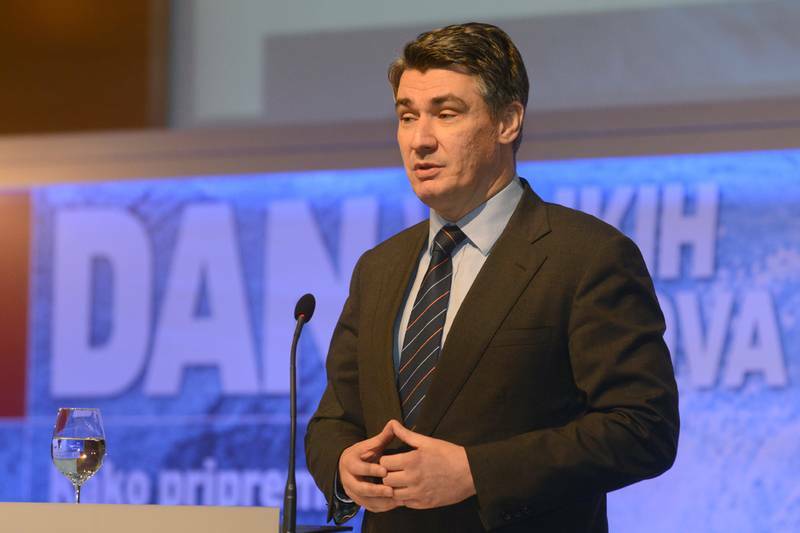 Milanovic did not even try to shade his vision about the new model he said Croatia needed and how will his government contribute to building it in the remaining 14 months until the end of the mandate. In the same time, the biggest opposition party - Croatian Democratic Union (HDZ) is now comfortably leading in the polls, while the Social Democrats have been outpaced by one of the newest parties on the Croatian political scene - ORaH (For Croatia's Sustainable Development) of Mirela Holy, former minister of environment in Zoran Milanovic's government. Her party ended up second in the latest opinion polls. And on Sunday, a new party was born - the reformists of Radimir Cacic, also a former member of Milanovic's cabinet, though a first deputy prime minister. These two parties emerge as a real alternative to the political status quo. The only goal that Premier Milanovic seems to have set is to complete his term without any serious concussions, while his biggest opponent Tomislav Karamarko is uniting forces to ensure a victory at the next elections. For now, the two youngest parties have the clearest ideas about the future. 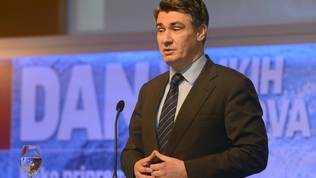 From Zoran Milanovic's behaviour one can conclude that he will not work for applause not only of the international financial organisations, the European Commission and the credit rating agencies, but also of the Croatian citizens. In mid-October, the Commission will publish its autumn economic forecast as well as the interim report on the implementation of the country-specific recommendations. It will be curious to see to what extent do the HNB's views coincide with the Commission's in terms of the size of the Croatian recession. And while the power is changing in Brussels, it is very unlikely Croatia to receive strong criticism for its inaction, especially given the fact that it is not part of the euro area and does not threaten the fragile economic recovery there. Nonetheless, it is odd that in his speech before the MPs Mr Milanovic did not at all touch this issue and did not show readiness to take advantage of the power vacuum. As an eminent austerian but in the same time a Social Democrat, wishing to keep every job, it is inexplicable that Milanovic did not join one of the leading debates in the EU for more flexibility in the application of the strict fiscal discipline rules, strongly defended by his Italian counterpart Matteo Renzi (also a Social Democrat). In him, the Croatian prime minister should be seeing a strong ally, although Croatia is currently more like France than Italy where Mr Renzi is conducting really bold reforms, while Francois Hollande is mainly reforming his government. But still, Croatia has joined the excessive deficit procedure right after its accession in the EU. Being both an austerian and a person who would need flexibility in his work, it was natural to expect him to send a strong message via the Sabor to the EU for more understanding for the peculiarities of a post-Yugoslav economy. But, alas, he does not expect applause neither in Brussels nor at home.